This must be one of the best products for its price in this category. It's perfect for a cell phone, battery pack the same size as the phone and cables. Beautiful leather and fine workmanship.The strap even has swivel hooks of the finest quality. 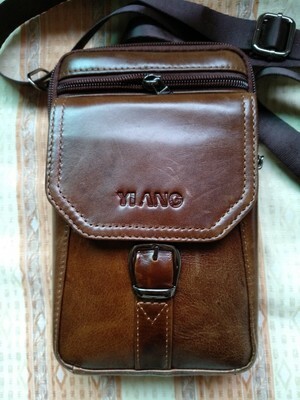 I love this bag it is great for my two phones. I wasn't sure it would fit both of my phones because of their size, but it does (I have an Samsung s7 for work and an LG V20 as my personal phone). Perfect fit.